Want an evolution? We all want to change the WAN! Enterprise IT has by no means remained stagnant over the past 20 years. Two of the biggest shifts over the last couple of decades have been the rise of mobility and the move to the cloud. Smartphones and other mobile devices have put some serious computing power in the hands and pockets of folks out in the field, like sales agents and field service engineers. The cloud has given us cheap, accessible anywhere, anytime storage and Software_as_a_Service (SaaS) has given employees direct and easy access to corporate applications. This evolution has been largely driven by the needs of businesses to be more agile, faster, and more responsive to their customers and employees alike. As CIOs and IT teams embrace the realization that there will be more everything – more traffic, devices (IoT), locations, applications, and security requirements – this calls for a complete rethink of the WAN. The evolving business reality has propelled meaningful change, and leading companies are taking advantage of this progress, building compelling advantages in a connected world where agility, mobility, and security are now the rule. Is your WAN stuck in the Dark Ages? Oddly enough, there is one piece of the puzzle that has tenaciously refused to evolve with the changing business needs – the Wide Area Network (WAN). If you are a 90s fan, you’ll be happy to know that the traditional corporate hub and spoke WAN of that era is still alive and well. Back in the day, when the Spice Girls and Boyz II Men dominated the airwaves, MPLS was the WAN service of choice. It was an age where there were a few remote locations that needed to be connected back to a central location, where everyone could get access to corporate applications and funnel information out to the Internet. Fast forward 20 years or so, and everyone has at least one mobile device, many corporate applications are in the cloud, and everyone demands direct Internet access. While legacy MPLS services provided solid, reliable connectivity for the 90s, in today’s business environment, it is often costly, rather inflexible, takes time to deploy, and can introduce significant latency when businesses are using cloud applications. The good news is, there’s a great alternative, and like many of the other advancements, it’s software driven. Bringing the WAN up to speed, so to speak, is critical for network engineers and architects, but fixing it in a way that addresses all the new challenges is crucial for CIOs and IT leaders as well. SD-WAN brings the principles of SDN to the WAN, addressing many of the complex challenges inherent in modernizing it. SD-WAN is a new way to manage and optimize a WAN. SD-WAN was created to overcome the high bandwidth costs and the rigidity of MPLS services. 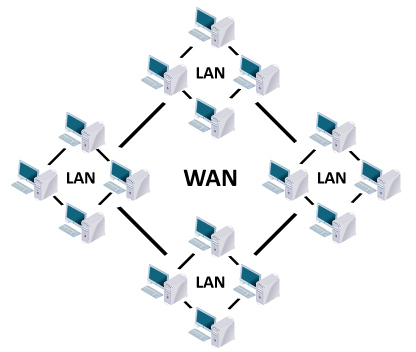 It does that by incorporating Internet transports (such as Cable, DSL, Fiber, and 4G) into the WAN and forming a virtual overlay across all transports. As of March 2017, Gartner estimated there are over 3,000 SD-WAN deployments, including in more than 100,000 total branches. One leading vendor, Cato Networks, has documented a splendid example of how one business’ needs grew way beyond the capabilities of their MPLS network. The case study centers on a Dutch company, Alewijnse, which designs, delivers, and integrates engineering electrical systems around the world for the maritime, industrial, and retail sectors. The Dutch company employs 1,000 people spread across 17 locations — 14 in Europe and 3 in the Asia Pacific — with about 800 mobile and field employees. For decades, Alewijnse relied on MPLS as a principal part of its WAN. A fully meshed, MPLS network connected the company’s Amsterdam datacenter, nine sites in the Netherlands, and a branch office in Romania. Its predictability made MPLS essential for delivering the company’s high-definition video system, and remote desktops using Citrix and the Remote Desktop Protocol (RDP). Three other locations – the largest in Vietnam – established virtual private network (VPN) tunnels across direct Internet access (DIA) connections to the Amsterdam datacenter. Increasingly, though, MPLS was not addressing Alewijnse’s business requirements. Users complained about poor Internet and cloud performance – and for good reason. Applications were starved for bandwidth, as they were backhauled across 10 Mbs MPLS connections to the Internet breakout in Alewijnse’s datacenter. Internet traffic was driving up MPLS costs. According to Willem-Jan Herckenrath, manager of ICT at Alewijnse, cloud applications, and Internet usage accounted for about 50 percent of MPLS bandwidth to the datacenter. To solve this problem, Alewijnse went with Cato’s cloud-based SD-WAN solution. In the initial phase, Herckenrath and his team connected the offices in the Netherlands, Romania, and Vietnam into Cato using high-quality, Internet last mile. In the final phase, Herckenrath connected the remaining offices to the Internet and the cloud SD-WAN. Alewijnse is no longer dependent on MPLS services, plus they managed to reduce their monthly costs by 25% and received 10-times more bandwidth. Equally important, Alewijnse’s IT team has all the control, visibility, and flexibility they need to deliver mission-critical services and applications. In addition, SD-WAN can eliminate other network appliances such as UTMs, Firewalls, and WAN optimization appliances simply by moving those services to the cloud too. Jonathon Gordon is currently reveling in his role as Directing Analyst with Expert Market Insight. Jonathon has been lurking around telecoms and infosec for the last 20 years. At EMI, Jonathon gets to indulge his curiosity, leading the cyber security and telecoms research teams. Jonathon has a rather unique background, including diverse roles in Product, Sales, Marketing, and Research.